Over the last decade, I have been surrounded by the idea of using a vision, mission, values and purpose to define an organization. I read and heard about what each element represented and the reason it existed. However, it wasn’t until a class last semester that the idea of using them all together really sunk in for me. It was definitely an “ah, ha” moment that helped to clarify how to better use them as a whole. Vision: The vision of an organization should clearly define where that organization is going. This is subject to change over time as realities change with the organization and its surrounding. Mission: The mission is the who, when and how for getting to where the vision has set out. These are similarly subject to change over time and as the direction of the organization shifts. Values: The values of an organization are the “rules of engagement” or norms of behavior. While these can change with time, they should be more steadfast than the mission and vision. 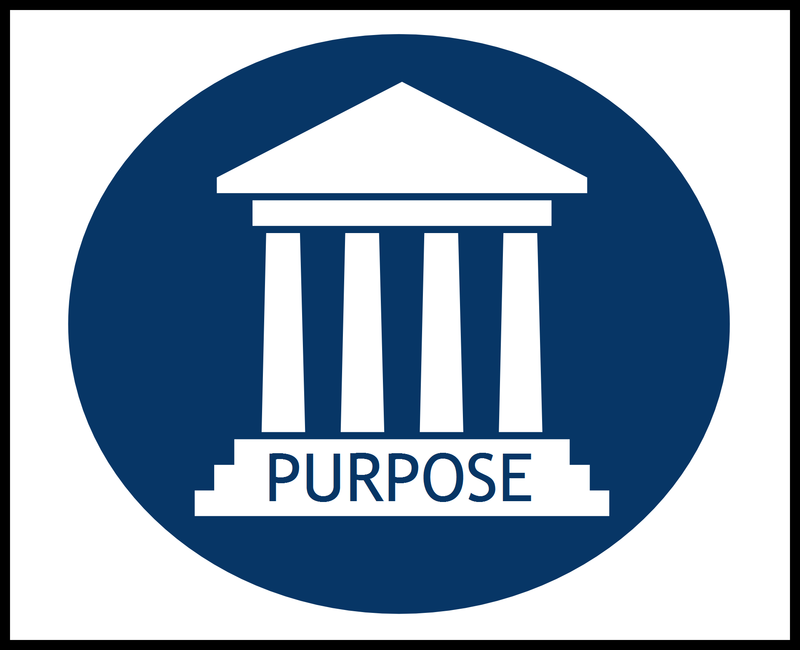 Purpose: Purpose is the “why” for the organization; why they do what they do. Unlike the other elements, purpose should never change. The purpose should be the single pillar to guide decisions when conflicts arise. If a newly developed mission doesn’t fit within the purpose, then the mission should change. In the past, I have looked at each of these elements as individual pieces, not a single flow of items to help guide an organization’s direction and employee behavior. The several posts I have made about Vision and Mission still hold true, but should be looked at within a greater context. The purpose of the organization is the baseline in which everything else should be generated. For an organization to be truly successful, especially in the startup phase, there must be a shared purpose. A great example of purpose that was used in my class is from the University of Texas – To transform lives for the benefit of society. This purpose clearly describes the basis for everything that goes on at UT and should guide the behavior of those charged with fulfilling it. When thinking about where you work or your own company, is there a concrete purpose? If you have trouble finding or thinking of one, try to develop one. If you want to take it a step further, if it is where you work, bring it up to your boss for discussion. If you are the boss, then discuss with those you work with to see if a shared purpose can be developed.